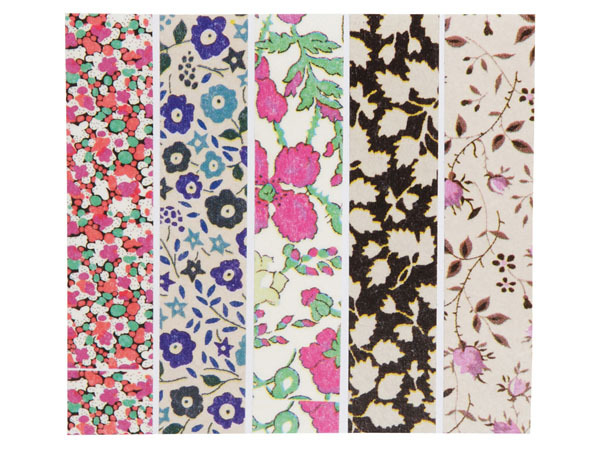 Have you checked out the Liberty of London for Target collection? Like many of you, I was terribly excited and counted the days until the release date. I actually stayed up late on Saturday night to place an order. But after splurging on things I don't really need and haven't received yet, I'm drooling over yet even more Liberty stuff. Yup, told you I was a dork. But most of these are out of stock online. Tragic, right? They were available a couple days ago, and I had put them in the shopping cart. Oh yeah, I checked the international shipping rate. About $40 USD. Each tape about $7. Crazy, I know, but I was entertaining the idea. Um, can anyone hook me up? Please? Better yet, I think it'd be awesome if mt did a collection with Liberty directly and have them available in the US, too. ;) At the rate at which Liberty is collaborating with other companies these days, I don't think it's a bad idea. In fact, with the popularity of masking tapes rising and many Liberty fans all over, especially in Japan, it'd be a huge success. It's like, duh, why didn't we think of this combination before? i love these tapes. love! your blog is absolutely adorable. i love the poloaroids.